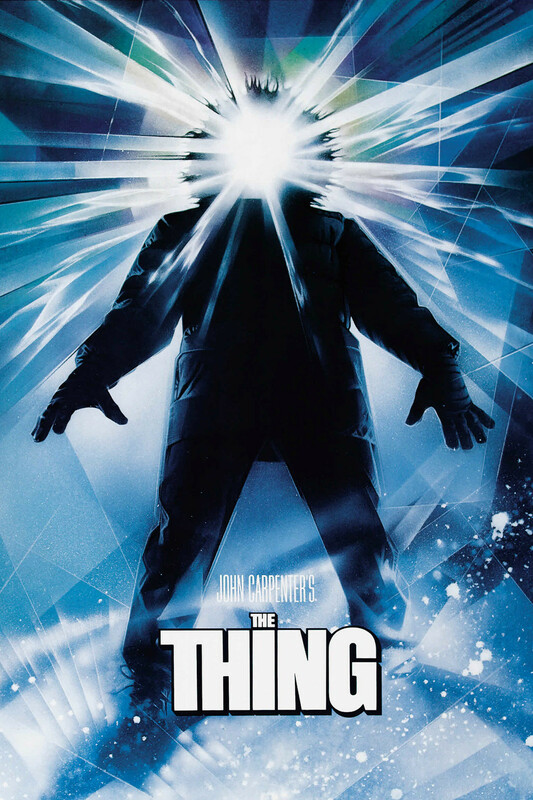 After a long hiatus I restart my blog with my tenth film review of my IMDB challenge: The Thing, released in 1982. The Thing stars Kurt Russel in one of the most convincing roles of his career. He plays R.J. McReady, the charismatic leader of a pack of roughened-out American scientists locked away by snow and ice from any meaningful hint of civilization in a distant outpost in Antarctica. The film benefits from a very strong opening sequence that shows us a Siberian dog running for its life as two men in a helicopter seem determined to end its life. As with the rest of the opening third of the film, the first few scenes are permeated with an ominous atmosphere that fills the screen with a sense of doom that is rarely as effectively delivered as it is in this film. Despite the vastness of the environment, the film feels incredibly claustrophobic. The almost constant snowstorm that cuts all communication with the outside world serves as the lock that keeps all of these men trapped inside a narrow ensemble of hallways and rooms that make up the scientists’ outpost. From the moment we are introduced to the dog desperately running away from a certain death, we know that there is something off with this picture and that whatever it is come, it would have to be confronted in this limiting setting, where escaping is impossible. There is, as a result, a sense of unavoidable doom that inhabits every room and corridor. There is always a presence lurking among the men and even after we discover what it is, the very nature of this unexpected visitor keeps us guessing for who its next victim will be. It is never a matter of if it will happen, but a matter of when. Having pointed out some of the most prominent features of the film, some sci-fi fans might be able to see a striking similarity to Ridley Scott’s 1979 masterpiece: Alien. While Carpenter’s film does borrow a lot from the famous sci-fi thriller, which certainly undermines the raw artistic value of the piece, the director makes it his own by successfully reinterpreting the concepts and ideas elegantly used by Ridley, while introducing new elements that still made it feel fresh and nerve-wracking. While Alien is helped by incredibly convincing special effects for the time in which it was filmed, The Thing lacked, even 3 years later, the sleekness of its predecessor. In this sense, The Thing comes out as more of an unfinished material that is odd, gory and awkward all at the same time. However, what the film lacks in intricacies and richness of detail, The Thing makes up for it with a sense of realism that is almost exclusively the merit of the unpolished look of the film. While the creature’s appearance is not altogether convincing, the circumstances these men find themselves in seem genuine.The characters we see on camera are far more relatable than those we see in Alien. These are not nerds or cowboys of a distant future, these feel like average Joe’s that are trapped in this impossible situation none of them could have avoided. It is this sense of impending doom that the film so effectively generates that keeps you at the edge of your seat throughout. There are, as in other Carpenter films, several cheesy lines and cliches that hinder the overall effect of the movie. However, Carpenter does an awesome job at building a highly suspenseful and atmospheric environment that does wonders for the film. Considering it is a remake’s remake, it may have a chance to not be entirely awful. The trailer appears to indicate that it is more of a prequel, centering on the other scientist outpost that was shown deserted and destroyed in the Carpenter film. Glad to see someone from “3 guys 1 movie” commenting in my blog. I check your webpage often and you certainly have thoughtful and carefully written reviews that inspire me to be better at this everyday. Sadly, I find myself lacking the time to devote myself a little more fully to this endeavor. Keep it up though ! !